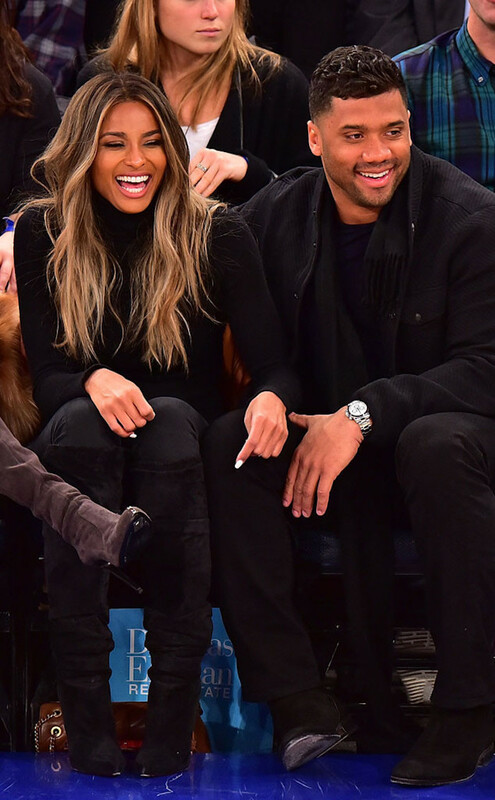 So good to see Ciara laughing and having a great time with her beau Russell Wilson, at the New York Knicks and Washington Wizards the other night. Ciara is going through so much right now with the defamation lawsuit against Baby Future's Daddy. Future who will most likely deny all allegations and possibly try to counterclaim. I hope Ciara wins for the simple fact that Future publically called her a b*tch. He was like 'This b*tch, has control issues!' Don't do that to the Mother of your child. I find that lame AF..